* This endorsement was included in their report to the Pew Center for Arts and Heritage. I was on air with David Oh, a member of the City Council of Philadelphia, in his show In the Know with David Oh, on October 24th, 2017. My Op-ed piece on Korean Politics appeared in Korea Exposé: "A Eulogy for Another Radical Centrist"
YOU FOR ME FOR YOU is a fantastic and fantastical play written by Mia Chung. I saw the show this past spring and was privileged to have a great time to talk with those remarkable performers and the audience afterwards. Its witty yet thoughtful magical realism provoked a hearty laugh, brought tears to my eyes, and definitely gave me some foods for thought on human needs, sacrifice, trauma, political power, and our being-in-time (or in *times* as we inhabit in different temporalities at once). 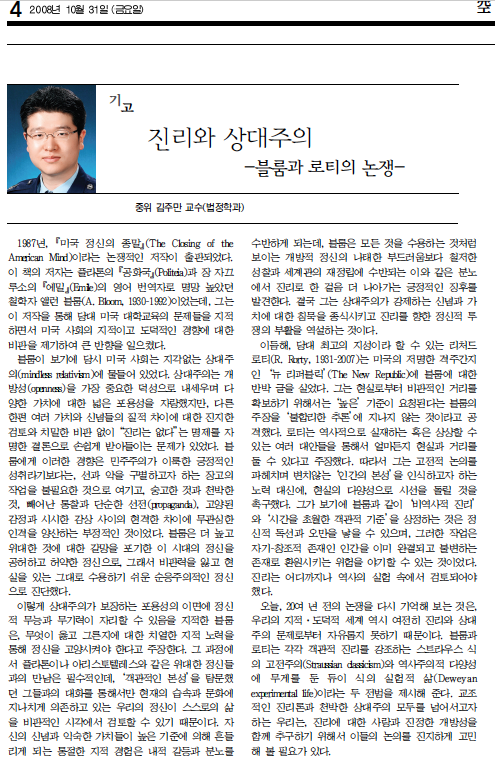 When I taught at the Korea Air Force Academy, I penned a number of columns for Korean newspapers and magazines including two articles posted below.